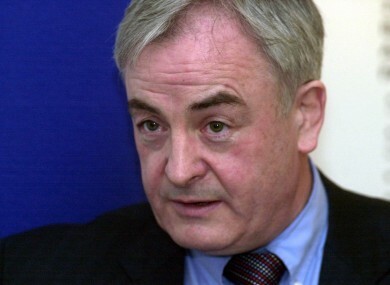 Senior consultant: "€1,000-a-night to stay on a trolley in a public hospital"
Professor Michael O’Keefe has claimed private insurance companies are being charged for patients in public wards. A SENIOR CONSULTANT has claimed hospitals are “fraudulently” charging private health insurance companies for patients who are sitting on trolleys in emergency departments. Professor Michael O’Keefe said patients coming into hospitals with private health insurance are getting nothing in return for the “huge” premiums they are paying. Speaking on Today With Pat Kenny on RTE Radio 1, Mr O’Keefe said: “All these people are being charged huge figures for zero service. It’s an absolute scandal. Patients are now being admitted to causality – spending time on trollies and chairs – then ending up in (public) wards and mixed wards. I’ve seen it first-hand: a young woman in the middle of two young men either side and an older man opposite and she’s being charged €800, to €1,000 a night, paid for by the VHI. On top of that there’s the €80 public service charge that applies to all patients going into public hospitals. The Mater Private based ophthalmologist, who was a former VHI board member, also criticised insurance companies for failing to police hospitals overcharging for services. “The public systems is hugely reliant on private health insurance money – it is, in fact, propping up the public system at the moment,” O’Keefe said. VHI CEO John O’Dwyer responded by saying thousands of customers were contacted each year and asked if they were in private wards during their stay in hospital. The company later released a statement saying it recouped €6.9million following investigations into inappropriate billing last year. Vhi said when an error is identified the hospital is immediately notified and the cost is deducted. If the charging errors continue the insurance company carries out an audit of the hospital to identify the the extent of the problem. If it is the case, as has been reported by a senior consultant, that VHI Healthcare has been charged for customers who are in an emergency department, on a trolley or a chair, then this charge is inappropriate and should not have been billed by the hospital in question. If a patient has not been admitted and is still on a trolley in an emergency department, then the private charge of up to €1,000 a day should not be levied. Former Department of Health Junior Minister, Roisin Shortall said Mr O’Keefe’s claims were worrying and called for more transparency in the health care system. “You have to reduced the cost base and change the whole model of care if you want reform in the health service,” Shortall told TheJournal.ie. Email “Senior consultant: "€1,000-a-night to stay on a trolley in a public hospital"”. Feedback on “Senior consultant: "€1,000-a-night to stay on a trolley in a public hospital"”.